The rumor mill is flying today, as these signs were put up on the Browder Building on the 500 block of Nevada Way, apparently placed by Charles Lawson, (although no one is 100% sure). What the signs say, will no doubt become an issue for debate in this Primary Election cycle, occurring as we speak. As we hear it, the building which formerly housed Mel’s Diner, has now been sold. Lawson had purchased this location with the intent of launching Atomic Tacos and an art gallery. 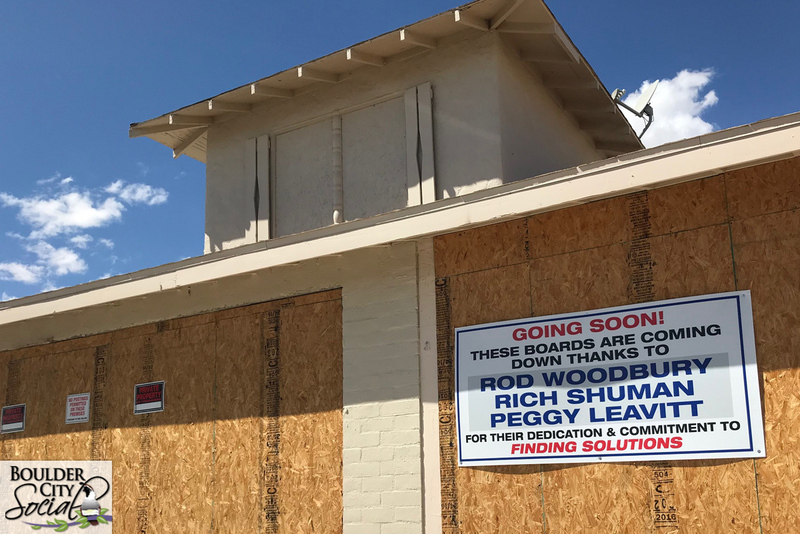 But as most of you know, those plans came to a crashing halt back in December, 2015, when the owner boarded up this location, along with his other Scratch House Restaurant in protest to issues he was having with the City of Boulder City. We don’t know any additional details at this time, but we’ll keep you posted as we learn more!